Gap filling exercise. 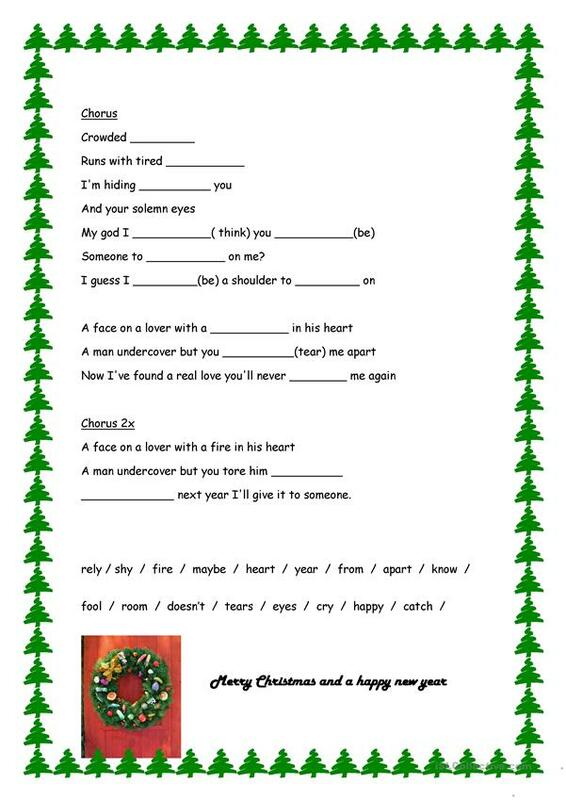 Students must listen to the song and fill the gaps with the words they hear. They also have to put the verbs in past simple. This downloadable handout is a great resource for high school students, elementary school students and adults at Pre-intermediate (A2) and Advanced (C1) level. 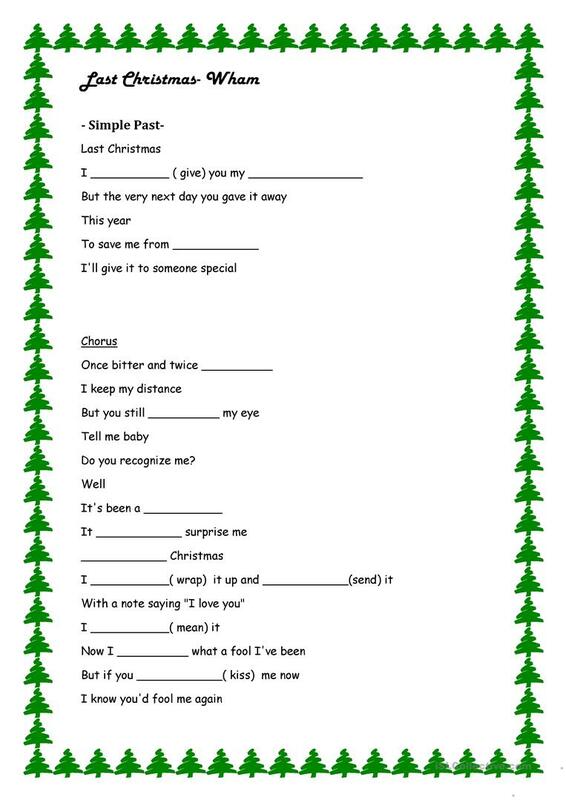 It is a useful material for teaching Past simple tense in English, and is useful for improving your students' Listening and Reading skills. inespato is from/lives in Portugal and has been a member of iSLCollective since 2012-09-03 17:28:18. inespato last logged in on 2019-03-27 09:49:19, and has shared 4 resources on iSLCollective so far.